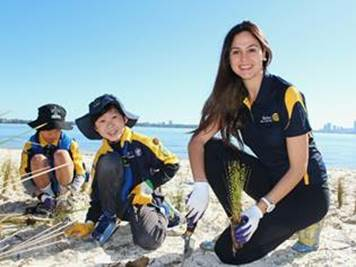 The Rotary Club of Applecross supports planting projects which improve the native plant areas along the Swan River and in the native bush areas of the City of Melville. It also gives the community the opportunity to participate in the protection of their environment. The 2018 planting day on 10th June 2018 was a tree planting at George Webley Park in Bateman. This planting day was held in conjunction with the City of Melville who supplied over 150 native trees that were planted on a wet windy morning. 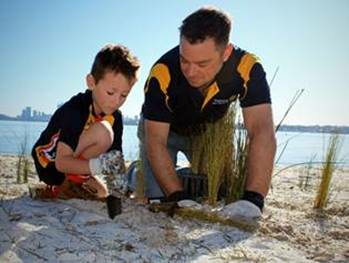 Rotarians and family members, two Leaders from the Waylen Bay Scout Group and Paul Higginson from the City of Melville planted out the Banksias, Wattles and Casuarinas to infill the natural bush land on the north eastern side of the reserve. The Rotary Club of Applecross hosted a barbeque lunch for the volunteers. A planting day, again in association with the City of Melville and Parks and Wildlife, was held on 30th July 2017 at the Jeff Joseph Reserve to infill the sedge planting of 2016. 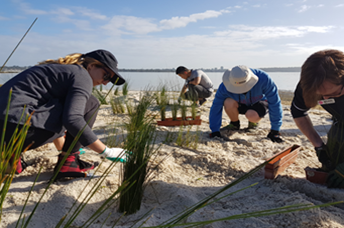 Approximately 1500 sedges, supplied by the City, were planted out by 60 volunteers from Aquinas College, Waylen Bay Sea Scouts, Rotaract Club of South Perth, Rotary Club of Elizabeth Quay, Rotary Club of Applecross, their families and from the community. The team leader was Jarrad Hall. 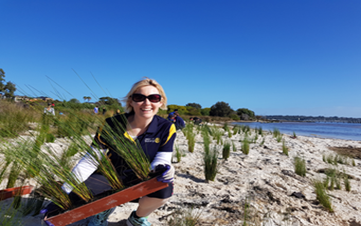 On Sunday 14th August 2016 the Rotary Club of Applecross helped to coordinate the planting of some 1,750 sedges on the Jeff Joseph Reserve on the edge of the Swan River in Applecross to help prevent erosion. This Community Planting Day formed part of a City of Melville environmental enhancement project in partnership with the Department of Parks and Wildlife. The 40 volunteers including members of Waylen Bay Sea Scouts, Rotary Club of Applecross, South of Perth Rotaract, local residents and City of Melville Mayor Russell Aubrey. As a thank you to volunteers the Rotary Club of Applecross hosted a barbecue.